Whitestone Dome for the Note 9 - How is yours holding up? If you have the Whitestone Dome on you Note 9 please answer these questions. Thanks. (1) Did it install perfect and bubble free or did you have problems? (2) How long has it been on your phone? (3) Have you developed any bubbles or spider web lines along the edges since you installed it? (4) Any problems with the glue running into your charge port, headphone jack, power/volume buttons ETC during install? (5) Have you received any scratches to the protector since it's been installed? Thank for your time. Just not sure if I want to go the Dome route or not. Following as I'm curious as well. Bought the Note 9 yesterday and within an hour the first thing I bought was the Otterbox Defender and the Whitestone Dome off Amazin Canada. Because the insurance doesn't apply in Canada I've decided to just get the single pack and if there are problems I'll take it off and ask for a refund through Amazon. Unfortunately, the Whitestone Dome just hasn't been a great experience for me with my Note 9. I have had to replace it a few times using their warranty, which I have to say they've always honoured without any fuss and have sent me a replacement within a couple of days. 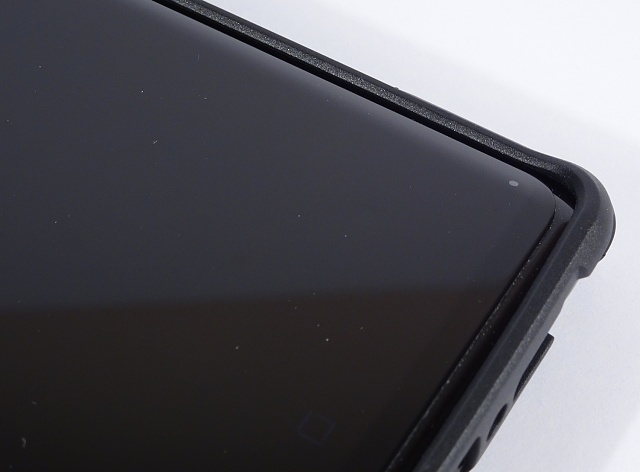 On each occasion, though, the glue has produced a webbing effect beneath the glass that spreads after a few days; this has occurred a couple of times along the right-hand edge of the screen, and another time at the very bottom of the screen, just above/parallel to where the speaker is. I was always extra careful when applying them - I followed each step in the instructions, always checked the surface was level and there was no dust, etc. But all to no avail. The thing is, I never had this problem with my Note 8. I bought one Whitestone for that and it stayed on for the entire year I had the phone without any of the issues above. So I'm not sure what's changed this time around. Could it be the glue is slightly different? Who knows. There are plenty of satisfied customers who have bought the Whitestone for their Note 9s and haven't had the same issues as me, so pls don't just take my word for it. I can only offer my own experience, which has not been great. I'm now using Amfilm protector, which I got on Amazon for just under £10 a couple of months back. It's one of those tempered glass protectors with the adhesive on the sides only, so it doesn't quite have the same level of clarity as the Whitestone does, it probably attracts more fingerprint smudges too and, given the adhesive is on the sides only, runs the risk of dust creeping in under the screen at some point (not that I've seen anything yet! ), but it will have to do for now as I'm not rich enough to keep ordering from Whitestone. If you go for Whitestone, I hope you have the perfect install. Just take your time and don't rush. 1.) Yes, bubble free without issue. 2.) Installed since early September 2018. 4.) Same as #3 , while installation use the provided stickers to avoid any glue running into the earpiece. 5.) Still no scratches or cracks, looks brand new. I also use the WhiteStone and Defender but use the Defender Pro and per others direction I purchased a cheap handheld rotary tool kit and shaved some plastic off the top and bottom of the inner shell because it could potentially come in contact with the WhiteStone glass and raise it up. Mike_Luchia and felloffthetruck like this. Insurance for phone or dome glass? From what I understand, the insurance is only available in the US. My question was phone insurance or dome glass warranty? I have device protection from rogers, screen break replacement is free. I never found out. First attempt at installation failed due to my error....i missed the removavle protective sheet, i noticed when i tried to drop the screen in the mouting frame, but too late....too much adheasive had already transfered to the throw away film. It was a mess to clean up, but doable. Second time i was following the instructions correctly. Adhesive was on the phone when i noticed a hair in the screen protector. In the few seconds it took me to clean the protectoer, the adhesive ran off the side of the phone. I wanted to know this as I bought the some version Defender case you did. only thing holding me back is the cost. I couldn't even find the PRO version. what's the difference? Does the pro version come with a screen protector? (4) Any problems with the glue running into your charge port, headphone jack, power/volume buttons ETC during install? No issues, bought a light on ebay, solid install and easy clean up. (5) Have you received any scratches to the protector since it's been installed? using LED flip cover, no scratches. Installed the Dome and it went on perfect except for one tiny bubble on the lower right curved edge. Do you this this bubble will get bigger or cause trouble over time? 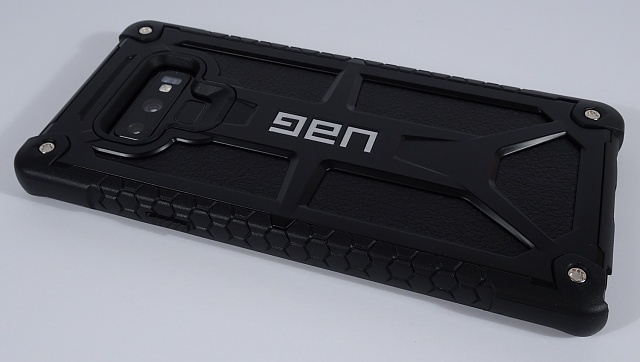 Does the front face frame of the defender case hit the dome glass at all? Right after the initial install it didn't however it certainly looks like when I reapplied the Defender it must have pushed the botton of the screen protector up causing the adhesive to "crack" under the screen along the bottom. I had an extra adhesive so I removed the screen protector and as per the instructions tried to remove the old adhesive before trying to reapply. This turned out to be a total disaster and the Dome cracked while trying to remove the adhesive. I'm going to be updating my review on Amazon to a much lower rating. Mine is showing the cracked "spiderweb" effect all down the right edge. Waiting for it to get unbearable, then I'll take this one off and use the backup (ordered the two pack). If THAT doesn't last, I've got a cheap non tempered glass, plastic film wet apply type as a last resort. Installed in October. Watched a couple of YouTube guides...installation absolutely no problem, perfect application. No problem since, like new. Prior to that I used the Amfilm (I think it was called) which managed about a month before dust got underneath. I wouldn't hesitate to buy it again. I had the same issue of small spider web like scratches along the right edge curve of the screen, heavier towards the bottom than the top. That was within the first 2 days installed. Within a week both sides are showing the same effect. It isn't cracks, can only see it in the correct angle of light, and more prominent when in strong daylight. I also have the Galaxy LED Cover, and if is not a problem with function or screen view. It may get bad over time. The part that irritates me is that the Whitestone was best in most all reviews, and I was really impressed with the installation system, what a let down to see these within days off installation. Just my two cents and experience. I've posted before about the Whitestone Note 9 screen protectors and they all exhibit spider cracking towards the edges. In most applications it happens within a few days. I've installed 6 on my note 9 and have claimed warranty on each. So far Whitestone will just say it's an installation issue but I disagree. I just installed the Roopose Note 9 competitor to Whitestone available on Amazon and the installation was perfect. Time will tell if it spider cracks but so far it's looking very good. The glue is not nearly as hard/brittle after it is cured and their instructions show how you can use the edge tool to add glue as needed before curing.